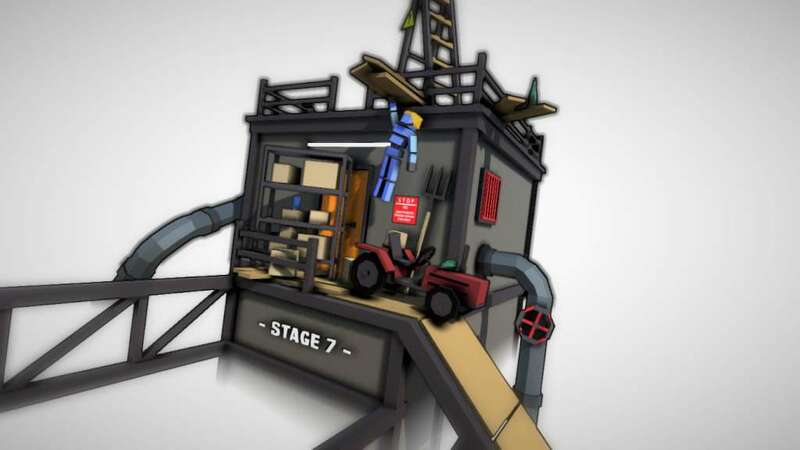 Find your way through 14 levels filled with various obstacles. Unlock new customizations for your character. Compare your level times with friends and other players through integrated Steam Leaderboards! 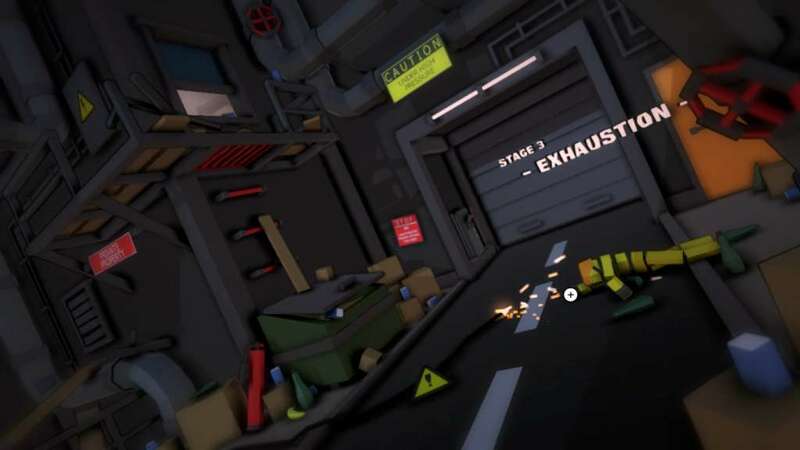 Play through the story with a friend and test your coordination. 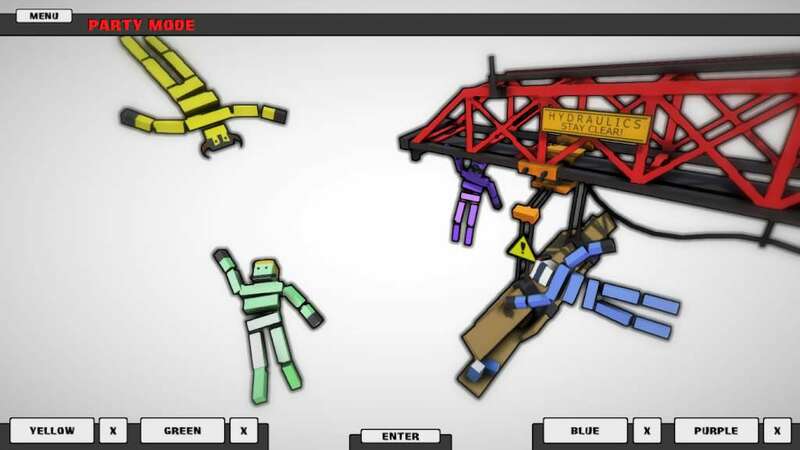 Control a cubical robo-climber with differently colored arms. Each player has control of only one arm! Step by Step - Use your environment to successfuly roll down the stairs. 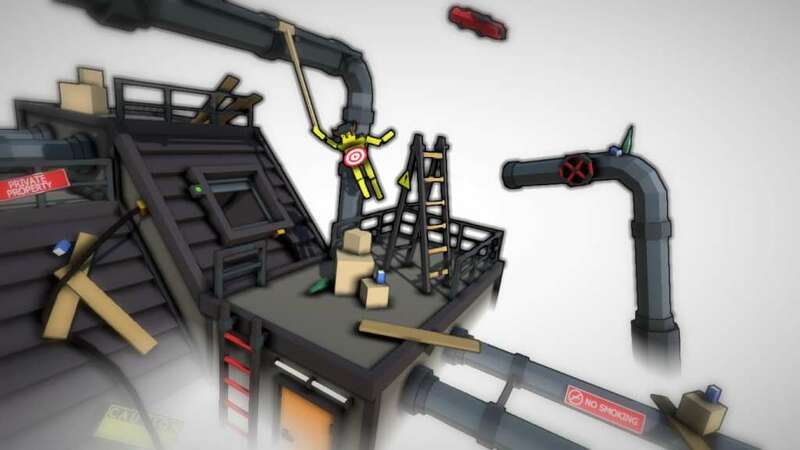 Leap of Faith - Jump from a crane and hit the target area below. 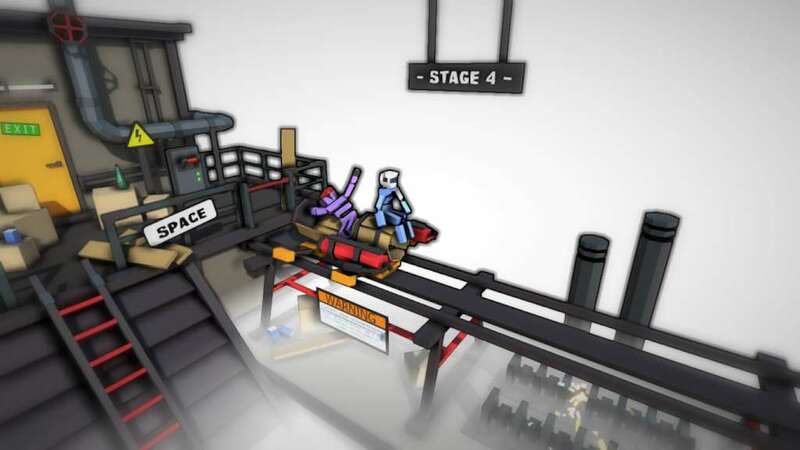 Crazy Carts - Grab onto a vehicle propelled by fire extinguishers and make it to the finish zone. Local turn-based multiplayer for up to 4 players. Compete against each other in set of randomly selected challenges!